Kiwi international (34 Tests, 1987-98) was surprisingly ineffective during two seasons with Manly under his former Wigan coach Graham Lowe. 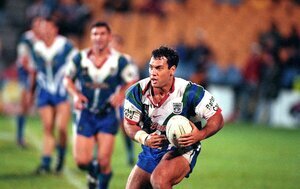 Kevin Iro, who had played very successful stints with Wigan from 1987-91 and Leeds from 1992-97, also made little impact in the Hunter Mariners’ sole season in Super League and returned to NZ to play with Auckland. 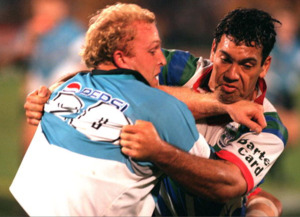 In 2000, after playing for St Helens, Iro captained the Cook Islands in the World Cup.